If you are currently using these options to cancel or on-hold an order, then you will need to change the settings to use Validation Rules on the merchant area instead. It is because these options, both Cancel Score and On-hold Score, will soon be deprecated in the coming release. We received feedbacks/complaints from many WooCommerce users about the confusion of these integrated options versus the validation rules. For example, how the validation priority works? Does the integrated options take priority over validation rules? Should I use the integrated options or the validation rules? The list of questions from confused users goes on and on. The cancel or on-hold order action can be easily configured using the validation rules together with the use of Approve & Reject status. In fact, we always recommend merchants to use the validation rules, a powerful yet flexible way, to customize your validation flow. If the order was canceled or on-hold using the integrated options, this action will not be recorded in our system. It is because this action happened in the plugin itself and this signal is not being transferred to FraudLabs Pro server for recording. You can think of the integrated options as sort of a bypass. This may lead to missing transaction that further confuse the merchants. Due to the above reasons, we believe that it’s more beneficial to deprecate these options than to keep them. 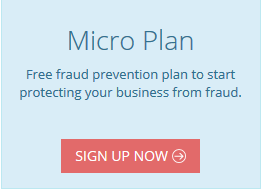 We understand this may cause some inconveniences to those merchants who are using these options, however please be assured that the transition is effortless. Below we are going to show you on how to perform the transition. Note: Please ignore the below procedures if you were not using the options to cancel or on-hold the orders. Let’s assume the below scenarios. If score > 90, then cancel the order. If score > 70, then on-hold the order. Change the integrated Cancel Score and On-hold Score to 100. Change the Reject Status to Cancelled. This setting will cancel the order if the plugin received a rejected status from FraudLabs Pro validation. Go to the Rules page. 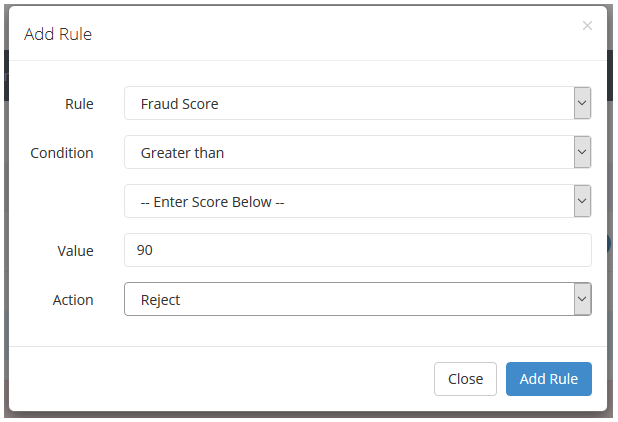 With the above configuration, the FraudLabs Pro will return the rejected status if the score greater than 90. Based on the Reject status configured at step 3, the order will be automatically cancelled. 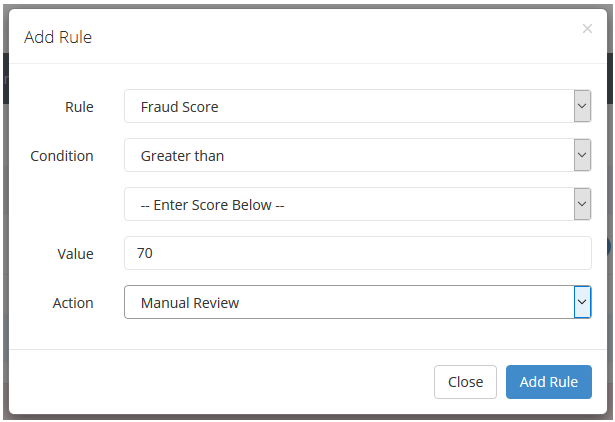 With the above configuration, the FraudLabs Pro will return the review status if the score greater than 70. Please take note that, at present, the plugin will automatically on-hold an order if it received the review status. We are going to introduce the Review status option in the coming release for you to override this action. These options will be officially deprecated and removed from the settings page from version 2.9.x onwards.